Sunnyvale is one of the safest communities in the Silicon Valley. With the new construction of the Apple headquarters the neighborhood is also a sought after choice for real estate. If you have been searching for a home in the Sunnyvale area this may be the perfect find. This centrally located home is in the charming Ponderosa neighborhood. All truly great homes start with the right piece of land; located on a court this lot is extremely large and has many great features. A large grassy area and beautiful flowerbeds make for a beautiful setting to come home to. This 5 bedrooms, 2.5 bathrooms home has a great floor plan. As you walk in the newly upgraded front door you see the large living room with a grand bay window view of the front yard. The formal dining room connects to the living room and has a beautiful hanging lamp with stylized coffered ceiling. The sliding glass door in the dining room brings in natural light and added flow to the backyard for summertime entertaining. When you enter the kitchen from the dining room you are greeted with granite countertops and stainless steel appliances. There is a plethora of cabinet storage and a food pantry. In between the family room and the kitchen is and eat-in countertop area which is perfect for a more informal meal. The family room is just off of the kitchen and has a wood-burning fireplace that is perfect for cold winter nights. The sliding glass doors in the family also provide access to the large patio area in the backyard. Crown molding and baseboards along with recessed lighting are nice styling addition to the first story of the home. The laundry room has 220 voltage electric or gas option hookups and plentiful storage space. Also located next to the laundry room is the downstairs half bathroom. Through the living room you are connected to the two-car garage. This is a rather large garage and has numerous storage cabinets. The side door from the garage provides access to the side yard. The lower level hallway has under stair storage space and the fifth bedroom that could be perfect for a home office. As you walk upstairs the flow of the space continues with the bedrooms wrapping around the entire upper level. The master bedroom has two windows for natural lighting. It is also equipped with two closets, one of which has mirrored doors. The master bathroom is very nicely set with a new granite vanity and lighting along with dual sinks and plenty of mirror space. The standing shower and toilet room has additional storage, a window and a new light fixture. As you walk down the hall the second bathroom also has a new vanity with granite countertop, modern light fixture, and shower over tub. The third and fourth bedrooms are located on the right side of the upper level. The front and back yards are expansive and have a wonderful flow between them. The backyard has multiple outdoor storage spaces perfect for tools or yard equipment. Flower and garden beds surround the outer perimeter of the backyard area. A mature orange tree is very generous during season and the lemon and mandarin trees provide delicious treats as well. The patio is very large and perfect for outdoor entertainment. The patio cover will provide shade in the hot summer months. The side yard in the back is perfect for outdoor play on the grass. Ponderosa neighborhood is very centrally located near the 101 and 280 freeways, Lawrence Expressway, and El Camino Real. Kaiser of Santa Clara Medical Center and Hospital is just a short drive away. Corn Palace is a perfect little farm located in the middle of the city. It provides fresh eggs, produce, and firewood at the farm stand. Ponderosa Elementary School and Ponderosa Park are within walking distance and are great for outdoor activities on their basketball and tennis courts. The neighbors are said to be very friendly and awesome! 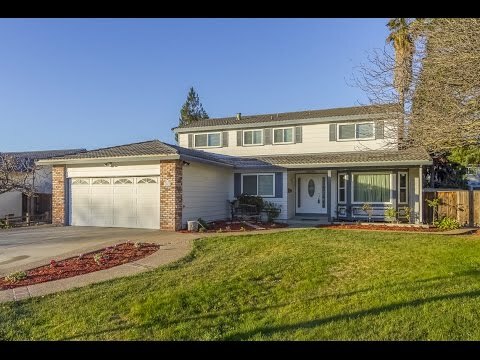 Come check this great Sunnyvale home out, it might be your perfect fit!